Over the course of the summer, I’ll be publishing tips and tricks for making the most out of your Zoom experience. Throughout the last year, we’ve spoken with many Extension professionals about our excitement for Zoom. Many of you indicated that you’re hesitant to turn your webcam on during a Zoom meeting. I’ll admit, seeing myself talk in meetings was daunting at first, but I quickly learned sharing your video feed with colleagues is imperative to making virtual meetings truly successful. I received the text below from a friend and colleague after last week’s Webinar Best Practices program. 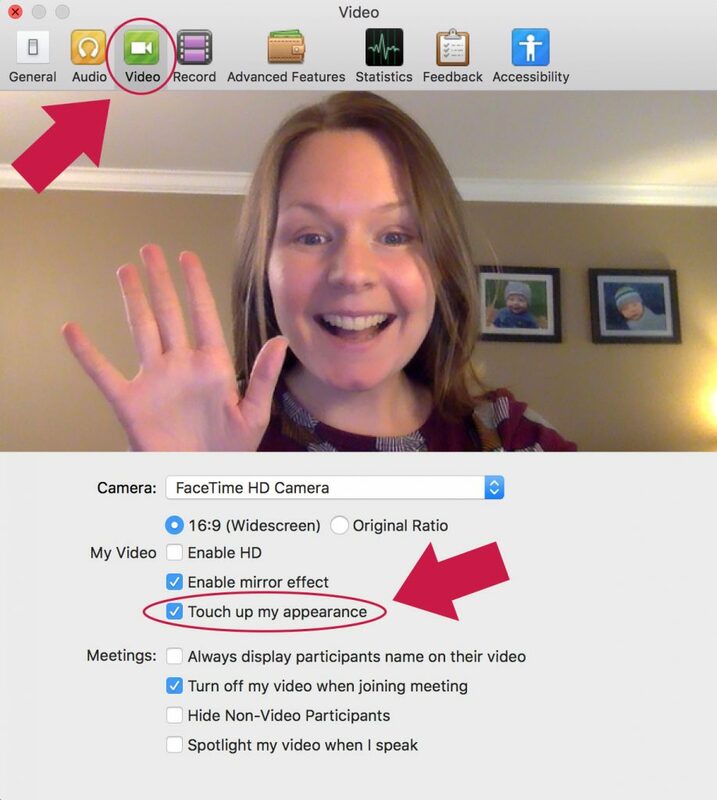 I was quick to share my little secret for looking great on Zoom meetings and webinars. There is a setting accessible via the Zoom client that touches up your appearance by offering a softer focus. The result is a smooth and even complexion on your video feed. To enable the setting, open the Zoom client on your desktop (click here to access Zoom downloads) and open settings. In settings, click “video” and make sure the “touch up my appearance” has a check next to it. By toggling the checkbox, you can see an immediate difference. 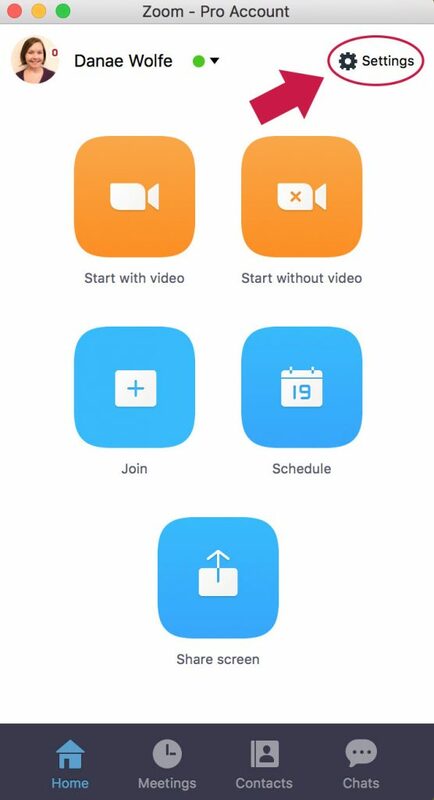 For more information about accessing this feature in Windows and on iOS, visit the Zoom website. Stay tuned for additional Zoom tips and tricks! To access the CFAES Zoom Portal, click here. Join Ed Techs to learn how to create and teach webinars that will keep your distance audience engaged and interested! Don’t forget! The Ed Tech Unit will be offering Zoom trainings the first Friday of every month at 10am throughout summer and fall. To access the introductory trainings, offered by CFAES IT, visit the CFAES Zoom Portal. With the announcement of OSU Extension gaining access to Zoom hosted meetings and webinars, Jamie Seger, Morgan Domokos, and Brian Raison offered a “Webinar Best Practices and Online Teaching Tips from the Field” during the 2016 OSUE Annual Conference. Further training on recommended Zoom equipment, use, and teaching via webinar will be offered by the Ed Tech Unit and CFAES IT Services in 2017. Questions about Zoom and teaching via webinar in the meantime can be sent to Jamie or Danae. With a growing number of tools and technologies available, how do you know which is best for you? 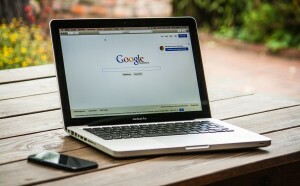 The Ed Tech Unit has developed a list of tried-and-true educational technology tools that we feel are great options to include in your digital content strategy. We’ve organized the tools based on specific goals you may have for your county or program. We encourage Extension professionals to review the POST method for determining which tools to use for particular audiences you’re trying to reach and specific objectives you may have for each audience. 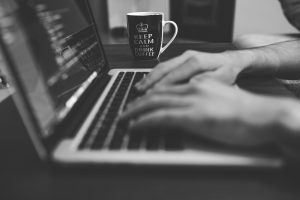 It may be helpful to download and print this POST method worksheet for thinking through some of your goals before deciding which technology is best. Keep in mind this is not an exhaustive list of all tools you could choose from. The above options are tools that Extension professionals in Ohio and beyond have found helpful. Jamie or Danae would be happy to discuss these tools and others in greater depth. Don’t hesitate to reach out with questions! Requiring program participants to print registration forms and mail checks to the office can be tedious. Did you know that every Extension office has the ability to take online registrations and payment for programs using RegOnline? RegOnline is a service available to all CFAES units, including Extension offices. To access RegOnline, you will need to complete the Payment Card Industry (PCI) training available in BuckeyeLearn. Once you complete PCI training, email the Business Office (Jesse Buxton) for access to your RegOnline account. You can learn how to set up your event registration through the RegOnline Slide Presentation and training video. The CFAES fee for using RegOnline is $3.25 per event registrant. Any registration that comes through with a credit card payment is charged 3.2% of the registration cost to cover fees from credit card companies. Keep in mind that the time you save in processing event registrations by hand will probably be well worth the $3.25 fee you will be charged per registrant when using RegOnline (you may consider building this cost into your event registration price). For the instructions of how to get started using RegOnline, please visit the CFAES RegOnline page available here and carefully read through the instructions. 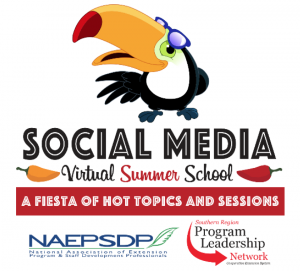 Join The National Association of Extension Program and Staff Development Professionals (NAEPSDP) this week for their virtual summer school to learn about social media use in Extension! The Virtual Summer School starts TODAY at 2pm with a session on Using Social Media to Extend the Learning Process. For more information and to register, visit the NAEPSDP website. 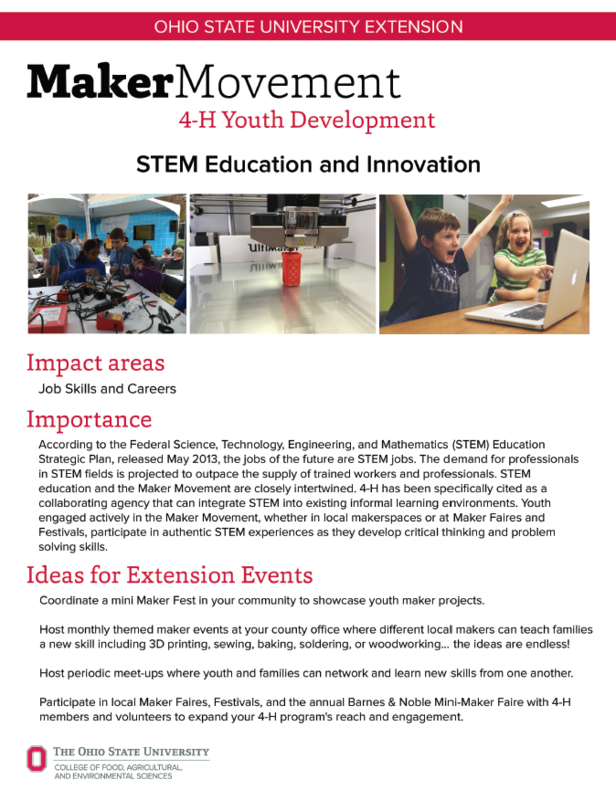 Innovate Extension May 11th & 12th: How Do We Participate? 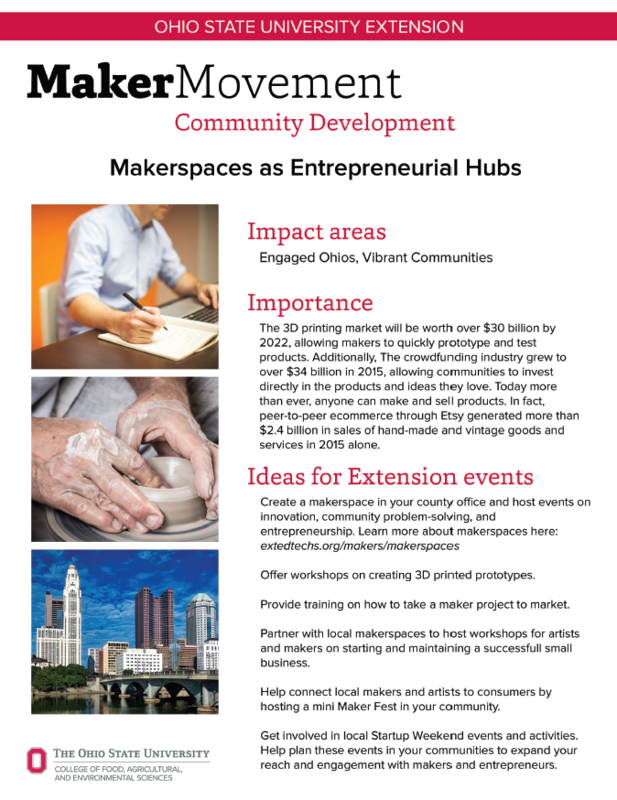 This is the fourth post in our series detailing the upcoming innovateExtension event May 12th. You can view other posts in the series here. Registration for innovateOSU is now OPEN. Go here to register. This conference will most likely sell out, so we highly suggest you register as soon as possible! Registration for innovateExtension will be available very soon – keep an eye out for updates! Will Our Team Have to Do Any Work Before the Event? In a word, no. We’ll have a pre-event training on Creative and Innovative Thinking available to all event participants on April 28th, and provide some information about the event at that time. However, there is no commitment necessary in regard to your team needing to come to the event with topics or issues in mind. Teams can simply show up and see where the event takes them! Nothing! That’s right, it’s free! Our Ed Tech unit has been working hard to make sure this is a cost-free event available to all Extension staff. innovateOSU is also free. To provide a day-long work session for innovative program planning. To provide a fun environment conducive to creative thinking. To inspire teams and individuals to update programs, change the way they work, or develop solutions to organizational challenges. To provide Extension staff an opportunity to present new ideas and solutions to colleagues and administration. Attend innovateOSU on May 11th to be inspired and learn how others in academia are creatively solving age-old dilemmas and finding new tools to strengthen their work. 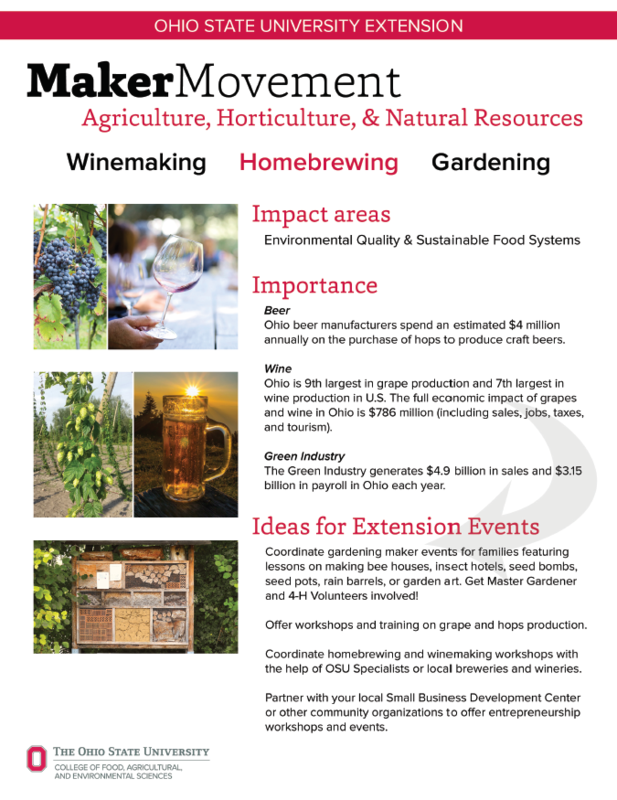 Attend our post-innovate event just for OSU Extension on May 12th to put these ideas and inspiration into practice. Leave us a comment below with any questions you may have. Or, feel free to send questions directly to Jamie or Danae. In case you missed the First Friday Coffee Break this month on Carmen Connect, the recording is now available. Our next First Friday Coffee Break with an Ed Tech will be Friday, April 1st (no joke!). Topic TBD. If you’re dying to learn about a particular ed tech topic, let us know! 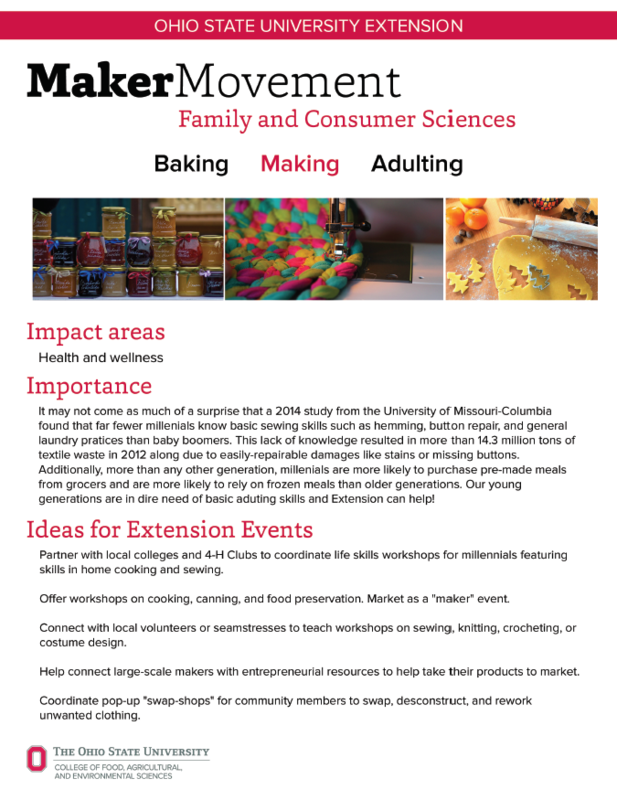 We’re looking for ideas for future Coffee Breaks! Contact Jamie or Danae or let us know in the comments!